Join host Chris Mohr for an inside look at The Aspen Music Festival and School's summer season. Each Tuesday throughout the summer, Chris will feature exclusive and insightful interviews with AMFS artists, conductors, faculty, and students. Our final Festival Showcase of the 2018 summer season includes a wrap-up conversation with Alan Fletcher and Asadour Santourian, who tip their hands and give us a glimpse into their plans for the 2019 season theme -- and the operas. We also talk with Patrick Dupre Quigley, conductor of the choral group Seraphic Fire, who performed three times in Aspen, including a final concert with the Faure Requiem. Pianist Lise de la Salle is committed to communicating emotion in as simple and direct a way as possible. Violinist Sarah Chang talks about her many memories in Aspen, where she has spent every summer of her life. Seraphic Fire brings two of the greatest Requiems of all time -- those by Faure and Mozart -- as the 2018 season of the Aspen Mussic festival comes to a close. Host Chris Mohr talks with all three on this week's Festival Showcase. Music's most famous stalker, Hector Berlioz, composed his Symphonie Fantastique to impress a famous actress after suicide threats and impassioned letters failed to move her. The symphony tells the story of a despiairng man poisoning himself with opium and having a series of dreams of ever-escalating sexual madness until he murders his beloved. Offenbach's greatest opera, Tales of Hoffman, is the only opera we know of where the hero falls in love with a nineteenth century wind-up doll, a dying singer and a courtesan. Listen as our miserable Hoffman looks for love in all the wrong places for almost three hours. 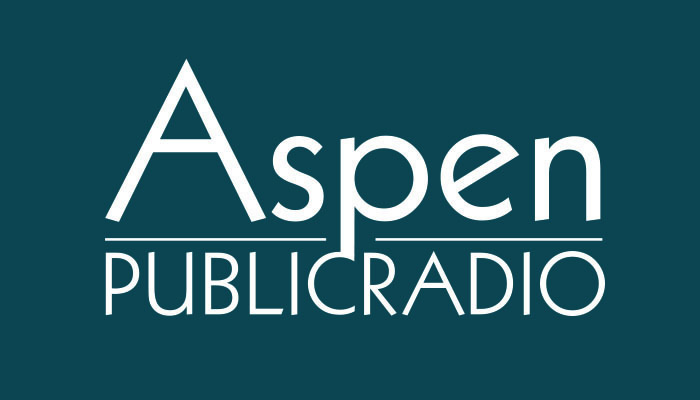 A live broadcast courtesy of the Aspen Music Festival and School this Thursday, August 16, 7:00 pm, exclusively on Aspen Public Radio. Host Chris Mohr will walk you through the story line and share interesting information about the opera. This week we talk with guitarist Sharon Isbin in anticipation of her concert August 9, and Tenor Ben Bliss (who sings Britten on August 10 and 13). Mezzo-soprano Jamie Barton sings Mahler's Das Lied von der Erde this Sunday at 4:00, and talks about everything from opera directors who have Carmen kill Don Jose -- and other feminist twists -- to her childhoood in Rome Georgia. We also talk with conductor and author Jane Glover, who is teaching conductors this Saturday morning at the Opera Scenes Master Class, and performs Tchaikovsky with cellist Alisa Weilerstein Friday evening August 3. Finally, we chat with Zaray Rodriguez about her upcoming role in Bernstein's Trouble in Tahiti August 2. Chris Mohr chats with members of the Pacifica Quartet, pianist Anton Nel and Disney conductor Richard Kaufman. On July 30, the Festival Orchestra joins the Disney crew for a live orchestral concert alongside clips of some of the most popular animated films of the past decade. Alan Fletcher shares his experiences during the evacuation from his home during the fire; the American Brass Quintet talks up their July 19 concert; violinist and pedagogue Paul Kantor talks about his July 23 recital. A chat with conductor Nicholas McGegan about his July 12 concert and pianist Orli Shaham's July 14 recital. The final Festival Showcase program of the season is a wrap-up interview with Alan Fletcher and Asadour Santourian. What were the highlights for them of the season? What were some of the challenges? I asked them to spill the beans about what we can look forward to in 2018, and they obliged. Pianist Nicha Stapanukul will be part of this Friday's Piano Project Liszt marathon. It's free, and starts at 8:30 pm at Harris Concert Hall. She asked for a selfie after the interview, and said some amazing things about Franz Liszt the womanizer as well as Liszt the pianist/composer. What is Grammy Award-winning guitarist Sharon Isbin doing with Jay Leno and Jerry Seinfeld? What will she be doing this Saturday, August 5 at 8:00 pm at Harris Concert Hall at the Aspen Music Festival? Classical Music host Chris Mohr asked Sharon about both of these, and Sharon even volunteered how she is coping with what she calls the dismantling of our democracy. Sharon's concert may well be a sellout, so we will be broadcasting it exclusively on Aspen Public Radio with Chris Mohr as your host. Festival Showcase with Renee Fleming! Opera superstar Renee Fleming will be in Aspen to host a Master Class Thursday, July 27 at 10:00 am and then to sing in a concert Sunday, July 30 at 4:00 pm at the Tent. This week's Festival Showcase features chats with pianist Marc-Andre Hamelin, Bass-Baritone Ryan Speedo Green (pictured here with fellow opera star Susanna Phillips at The Met) and the Vera Quartet, with musical examples. I first met bass-baritone Ryan Speedo Green when he was an Opera Colorado Young Artist. Just a few years before our meeting, Speedo was in solitary confinement in a juvenile detention facility. Now he sings at the Met (here he is giving a tour of the opera house with fellow star Susanna Phillips) and the Vienna State Opera, is happily married and has a child on the way. Between singing gigs, he has been on a year-long book tour after a book about him, Sing for Your Life, became a bestseller. Opera director Ed Berkeley chats with host Chris Mohr about the four operas on tap for the 2017 summer season at the Aspen Music Festival and School, including the Wheeler Opera House mainstage productions and more. Also on the program, a wide-ranging interview with conductor Nicholas McGegan, who talks about everything from his desire to see every string student with a Baroque-style bow to his secret love of punk rock! Classical Music Host Chris Mohr chats with two leaders of the Aspen Music Festival and School, Alan Fletcher and Asadour Santourian, about the upcoming 68th season of the Aspen Music Festival and School. Then Chris talks with cellist David Finckel and pianist Wu Han about their season-opening concert June 29 at Harris Hall. Pittsburgh Symphony Orchestra conductor Manfred Honeck chats with APR host Chris Mohr about the three-concert series being presented by the Orchestra this week. Call Aspen Public Radio today at 920-9000 if you would like to make a $100 gift to support classical music on Aspen Public Radio, and we will have one pair of tickets at Will Call for you for their concert Wednesday evening, August 24. Only one pair of tickets available, valued at $85 per ticket!